Blackheads are annoying, embarrassing, and hard to get rid of. 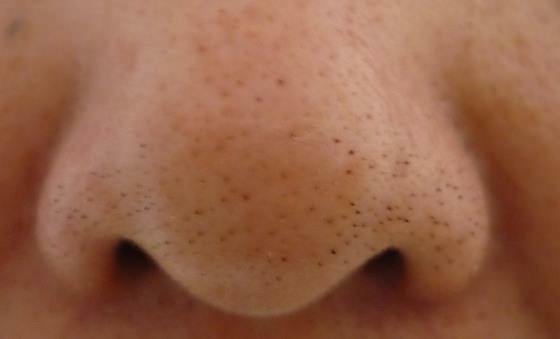 A common misconception about blackheads is that they are caused by dirty skin. This is not the case. Blackheads are actually caused by excess dead skin cells and a buildup of sebum, an oil secreted by the skin to self-moisturize. That means when people attempt to get rid of blackheads by washing too much, they are actually causing more blackheads to form. Over-washing leads to dried-out skin, which causes more sebum, and all the scrubbing creates more dead skin cells, so the blackheads win again. Fear not, dear reader — these seven blackhead remedies could have your skin looking as good as new in no time. Please note that along with these remedies should not be overused. Try a few out and see which ones you like best. Unless stated otherwise, use the method or methods of your choice two to three times per week along with your normal skincare routine. A common and inexpensive household item, baking soda, has many uses besides baking. One of those uses is skin exfoliation. Also, baking soda works to balance your skin’s pH levels, so with regular use, it will help the skin produce less sebum, helping you keep your skin blackhead-free for good. Mix a tablespoon of baking soda with just a small amount of water to create a paste that will leave your skin silky soft and smooth to the touch. Gently scrub the paste into your skin in circular motions for a minute or two, then rinse thoroughly. There are many brands of toner on the market, but one cheap and effective toner can be purchased in the produce section of your supermarket. Lemon juice is a powerful astringent that is perfect for lifting away dead skin cells and unclogging stuffy pores. Lemon juice can sting or cause irritation to those with sensitive skin, so try diluting it with a little bit of water at first. First, wash your face thoroughly with a gentle cleanser. 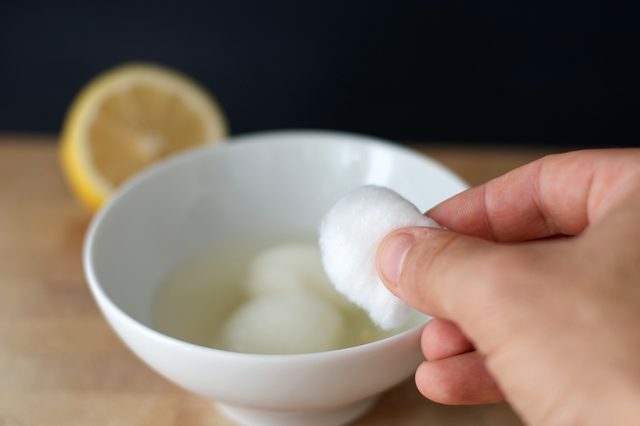 Then apply diluted lemon juice on a cotton ball directly to the areas with blackheads. Allow the astringent to dry into the skin for about 10 minutes, then rinse thoroughly with cool water to close the clean pores back up. This treatment can be used daily, and the Vitamin C in lemon juice can also help reduce scarring from acne. Like toners, there are many pore strips you can purchase, but you could also make them at home using just one egg and toilet paper. Separate the egg yolk from the egg white in a small bowl. Apply the egg white to affected areas and cover with strips of toilet paper, pressing down gently to adhere the strips to your skin. Then allow it to dry. Next, apply another layer of egg white to the outside of the toilet paper. Once the outer layer has dried, simply peel the strips off the affected areas, rinse your face with cold water, and apply your favorite moisturizer. This method is especially good for oily skin, and the protein in the egg white can also help improve overall skin health and fight wrinkles. Another great pore cleansing method for blackheads is gelatin and milk. Mix one tablespoon of gelatin powder with one tablespoon of milk, and microwave the mixture for 10-12 seconds. Allow to cool until it is warm enough to touch, then apply the mixture to the affected areas with a makeup applicator or face sponge. Let the application completely dry and form a thin mask. Slowly remove the mask, and clean off excess gelatin. Then rinse your face with cool water. This process can be repeated daily or as needed to clear up your pores. A popular home remedy for overall skin health used to treat many ailments, including blackheads, is Bentonite clay. This clay is rich in trace minerals that supply the skin with needed nutrients and absorb into the skin while pulling out excess oils and other junk lodged deep in your pores. To make a clay mask, mix a tablespoon of clay with apple cider vinegar (or water) until you have a thick paste. With clean hands, apply directly to your face in a thick layer. Allow to dry fully before washing your face. A moisturizer is also recommended to follow this treatment. Another exfoliation method, if you were not fond of baking soda and water, is milk and nutmeg. The nutmeg works as an exfoliant and leaves your skin soft and smooth, while the milk contains lactic acid, which helps eliminate dead skin cells. Simply mix nutmeg into milk until you have a thin paste, and scrub your face with the mixture in small circular motions for three to five minutes, concentrating most heavily on areas affected by blackheads. Then rinse your face thoroughly with cool water. While toners and exfoliators and masks can work wonders for blackheads, they can also dry out the skin when overused. Sometimes the best method is the simplest one. Twice a day, rinse your face with cool water or use a gentle cleanser, pat your face dry with a towel, and apply your favorite moisturizer to keep your skin from producing lots of sebum to compensate for the dryness. Blackheads are tough to get rid of, but putting these methods into your skincare routine should do the trick. Find one or two that really work for you and leave your face feeling great, and stick with them. Regular cleaning and moisturizing can make all the difference in the world — these home remedies could be all you need to eliminate pesky blackheads for good.